When Jordan Peterson held a rally in opposition to language policing at the University of Toronto in 2016, the event was stormed by a group of students who disagreed with his stance. They publicly denounced him because they perceived his statements as a form of bigotry. During the rally, students for and against Peterson’s views constantly interrupted one another, attempting to have their perspectives heard. This yielded an unfocused conversation that could have been avoided if the confrontation had happened in a private setting. Callout culture, which is an attempt to hold people publicly accountable for statements deemed problematic, is of particular relevance to university students, as post-secondary institutions are where ideas that everyone might not agree with are communicated through lectures, in-class debates, and group projects. Sometimes one student might find the opinion of another subjectively problematic and feel the need to call them out. The purpose of a callout is to hold people accountable for their statements, which is fine, but I believe that having a private conversation is a more effective way of achieving this goal than a public denouncement. Callout culture often involves applying a rigid label—such as “racist,” “sexist,” or “bigot”—to someone else, but doing so is not valid because these opinions are highly subjective, not based on objective truth. There’s danger in labelling others without having a conversation that dissects their statements, as it could earn the accused a reputation in the public eye that does not reflect who they are. The nature of callout culture diminishes the ability for the accused to defend themselves. Others in the vicinity may get involved, and like the incident at Peterson’s rally, do little to help. At a certain point, it’s no longer a discussion; it’s a dogpile. In this environment, the person being called out may not feel that they have the opportunity to justify their words. In the moment, they may turn silent without having explained themselves properly or being receptive to the intentions behind the callout. Conor Friedersdorf of The Atlantic found that some students avoid expressing themselves on campus due to fear of being labeled. One student wrote to him and stated that “most students would rather conform to group thinking than voice their opposite opinion in group settings.” This is important to highlight because it shows that callout culture has a debilitating effect on open dialogue, a concept which is important for a thriving, and accountable, society. If the intention of callout culture is to have an honest conversation between parties with different beliefs, it should be practiced in an intimate setting, where a proper discussion can take place. 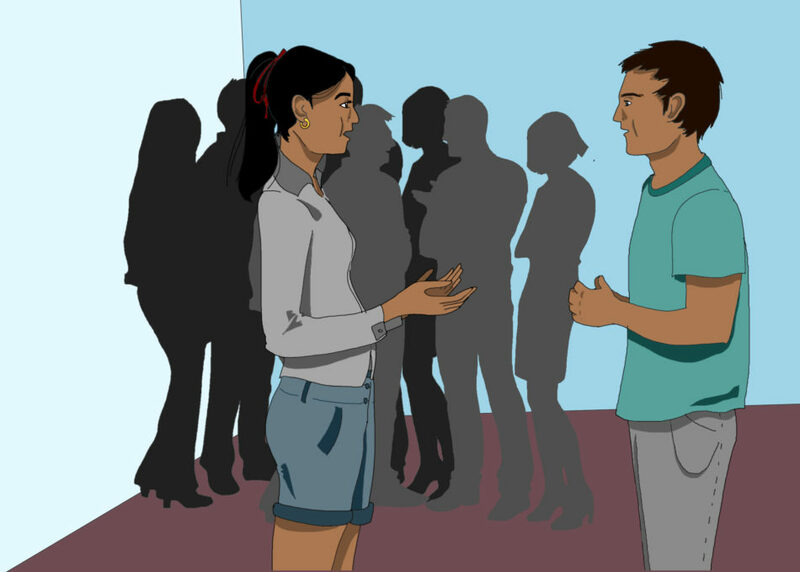 A private conversation provides an avenue where both sides of the debate can engage with the other without the distraction of bystanders getting involved or fear of being shamed publicly. Sometimes people aren’t willing to talk in a private setting, and calling them out publicly is seen as the only way to leave an impact on them. If they are resistant to having a private talk, I don’t see how they could be receptive to a public callout either. Callout culture has noble intentions, but pulling somebody aside and privately speaking to them is more effective. Publicly calling somebody out may be memorable, but it isn’t always productive.